Thinking of upgrading to iPhone 6 or iPhone 6 plus? This is now the most awaited opportunity to enjoy in the palm of your hands a brand new but very affordable unit for yourself. 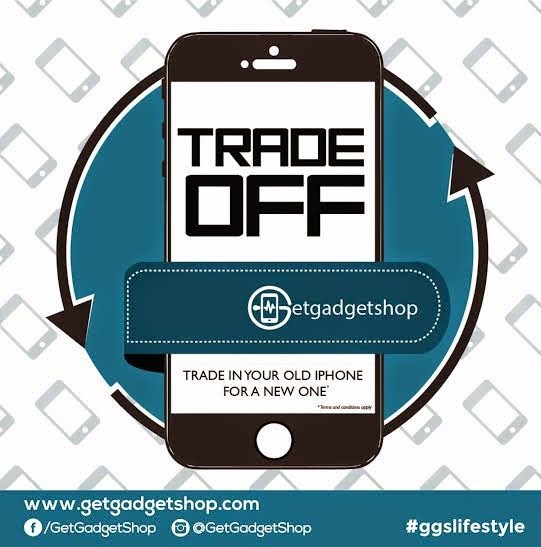 GetGadget Shop, the Philippines most trusted online gadget store is offering its first trade off promotion on March 31, 2015. Open for all iPhone 4s, 5, 5s and 5c unit with GB memory sizes, all gadgets for trading will be assessed to determine exact amount of discount. 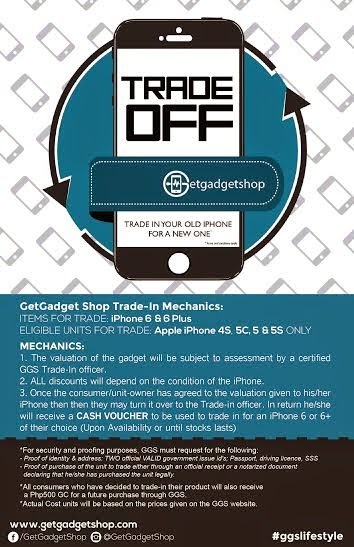 Once the seller has agreed on the actual value of the unit assessed by a GetGadget Shop trade officer, a cash check will be given as a mode of payment for the chosen unit. What’s more, interested traders can pre-reserve via GetGadget Shop Facebook fan page by sending a message with name, unit, model, GB size and preferred color. A trade in officer will send a reply within 24 hours to confirm order reservation. To qualify, present two valid IDs and proof of purchase of the unit such as receipt. 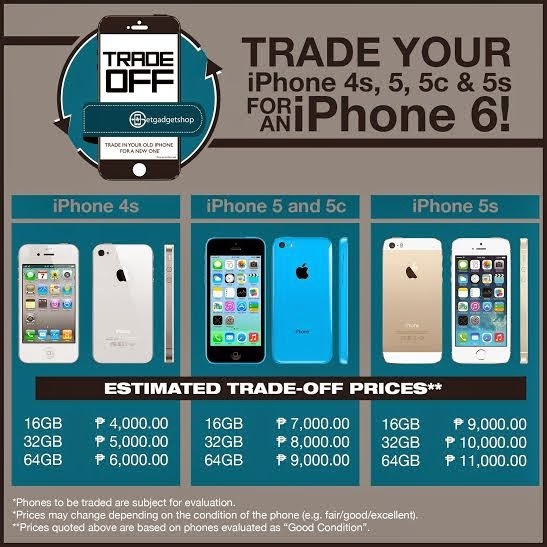 Pick up and payment is on March 31,2015 at the GetGadget Shop office from 10 am to 5 pm at unit 1105, Antel Global Building, Julia Vargas Avenue, Ortigas Center, Pasig City. For inquiries, contact customer support on 0921-229-5653 / 0927-905-1259. Say good bye to dark and clammy underarms with Kojie.San Sleeveless Ready! Vivo Y91 is now Available!